Another example of what might have been. The Mitsubishi Eclipse is back. Kind of. , the 90's favorite two-door coupe has returned as a crossover. 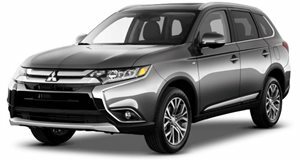 Mitsubishi, at least for now, has given no indication it plans to also revive that nameplate as a coupe. Coupes don’t sell anywhere near crossover numbers, not to mention sedan figures. 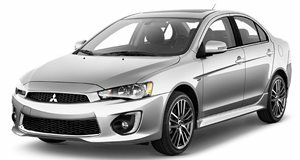 Sedans, like the soon-to-be-killed-off Lancer, are also suffering a sales decline due to the crossover influx. It’s kind of a shame, really, because a modern day Eclipse coupe could be quite something. Rendering artist Enoch Gabriel Gonzales sent us his vision of what a potential 2020 Eclipse could have looked like, assuming Mitsubishi was committed to building it, which it sadly won’t. It’s pretty hard to mistake this coupe for anything other than a Mitsubishi. We’re told by its creator that its silhouette is heavily inspired by the second generation coupe, launched in 1995. Other details were taken directly from 2008’s Mitsubishi Concept RA. There’s also a subtle “dynamic shield” located on the front bumper that’s smaller than present day Mitsubishis. Imagine a coupe like this powered by, say, a four-cylinder and a hybrid system, resulting in not only solid fuel economy but also performance with some street cred. Now, make it rear-wheel-drive, unlike the front-wheel-drive Eclipses of the past. That right there could be a direct competitor to the likes of the Toyota 86/Subaru BRZ. Sort of a poor man’s Porsche 718 Cayman. But it won’t happen. Even though an idea looks good on paper or, in this case, as a rendering, the business case simply isn’t there. All images courtesy of .